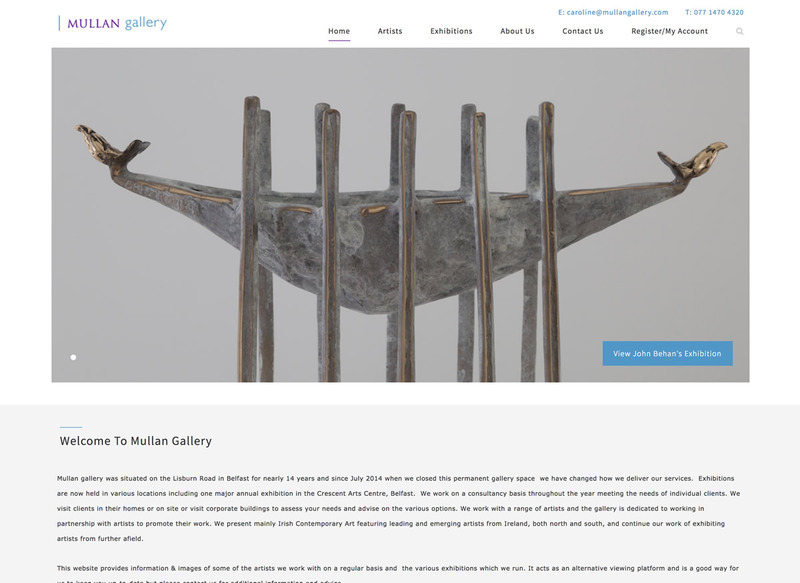 Mullan gallery is an Irish Art Gallery which was situated on the Lisburn Road in Belfast for nearly 14 years. 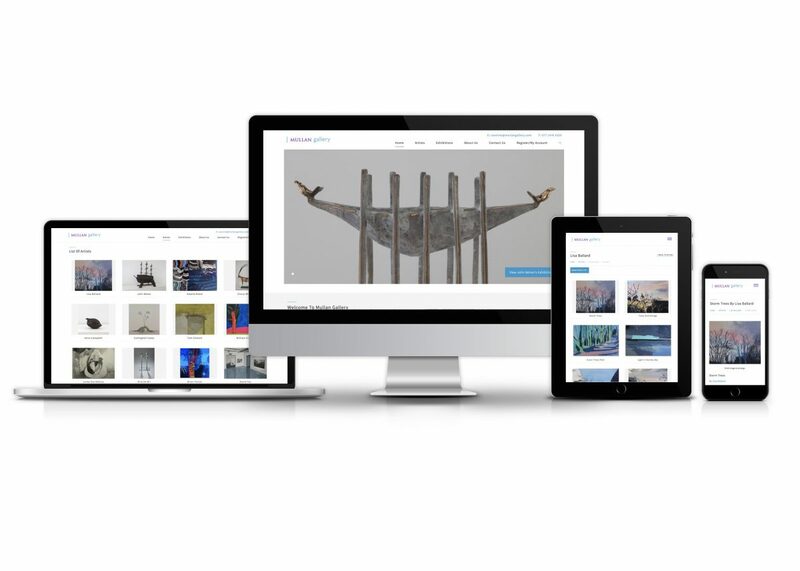 They have changed how they deliver their services and now deliver exhibitions in various locations, arranging viewings by appointment and work on a consultancy basis. 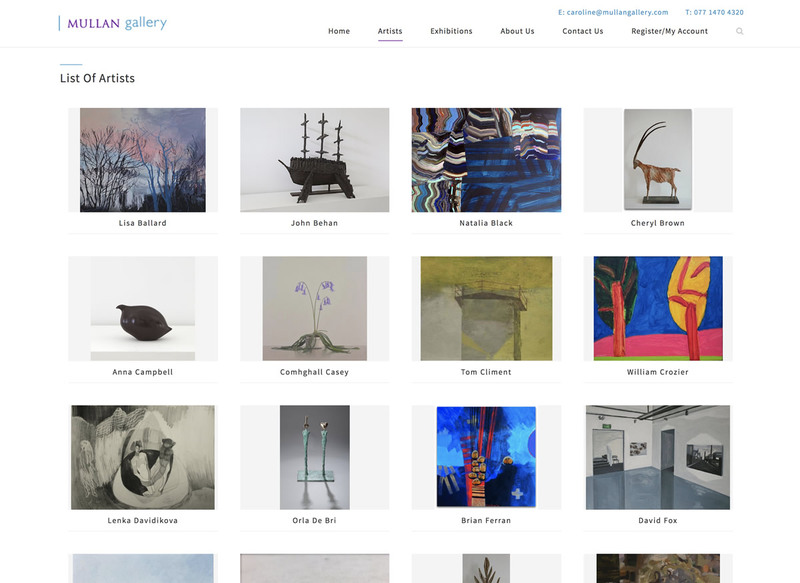 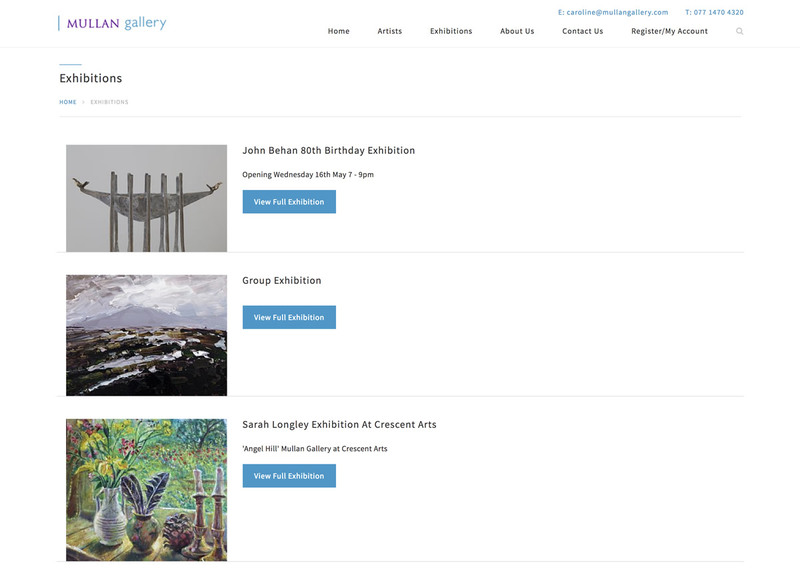 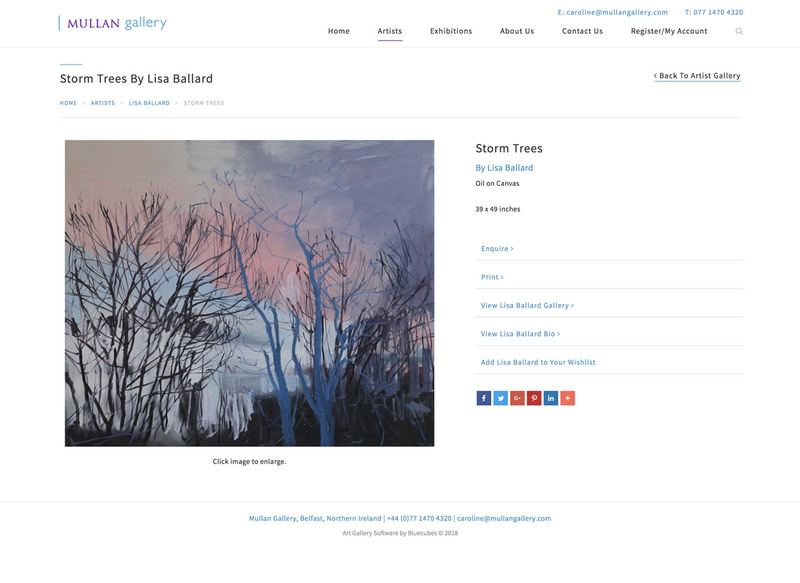 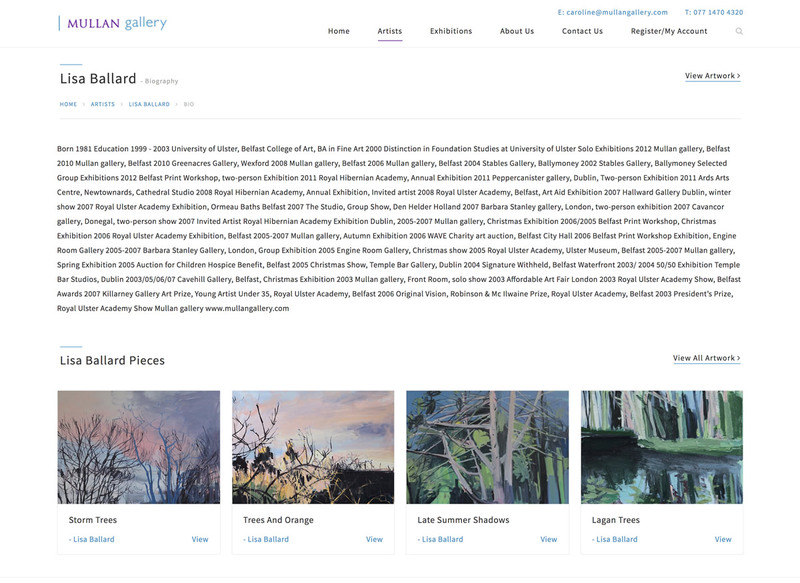 The gallery is dedicated to working in partnership with artists to promote their work.